Women putting earthen pots on their heads are common scenes in our Indian villages. Lack of proper drinking water facility in far off villages is the main reason behind this. In order to get rid of this issue, government of Madhya Pradesh has launched ‘Nal Jal Yojana’ where the main aim is to ensure the supply of the sufficient and safe drinking water to rural households. In the state Public Health Department is responsible to implement the scheme. Badi Amrohi is a village of Bhidra panchayat located in Guna district of Madhya Pradesh, 20 Kilometers from Soochna Seva Kendra. For 40-50 households the village has only 2 functional Hand pumps, a prime source of drinking water for the community of Bheel tribe. The concern is most of the community lives in cluster which are usually near their farming land. Rajaram Dhakad, Soochna Seva Fellow and also a known face among many villages of guna block, received a call on 1st May 2017 from Pawan Singh Kushwah (Block Coordinator-Public Health Department, Guna) regarding a proposal of Nal Jal Yojna in Amrohi & Nayagaon of Bhidra panchayat. Pawan Singh Khushwah briefed him about the whole plan and the names of the villages to start implement with. The supervision of the whole implementation will be taken care by Soochna Seva team not the sarpanch or Sachiv so as to avoid any corruption. This is because of the trust Soochna seva has built over the years with the government departments as well as the community. On the next day Rajaram went to Nayagaon and discussed the proposal with villagers, who have happily given their consent to this. On 3rd April, the team paid a visit to another village called as Badi Amrohi and discussed the requirements in the presence of Mr. Kushwah. The result of which, all the community members agreed and signed proposal papers. As per the mandate a village committee will be formed and the community is responsible to pay 1 % of the implementation cost. Similarly, Public Health Department (PHE) of Madhya Pradesh is implementing different drinking water schemes for rural areas. 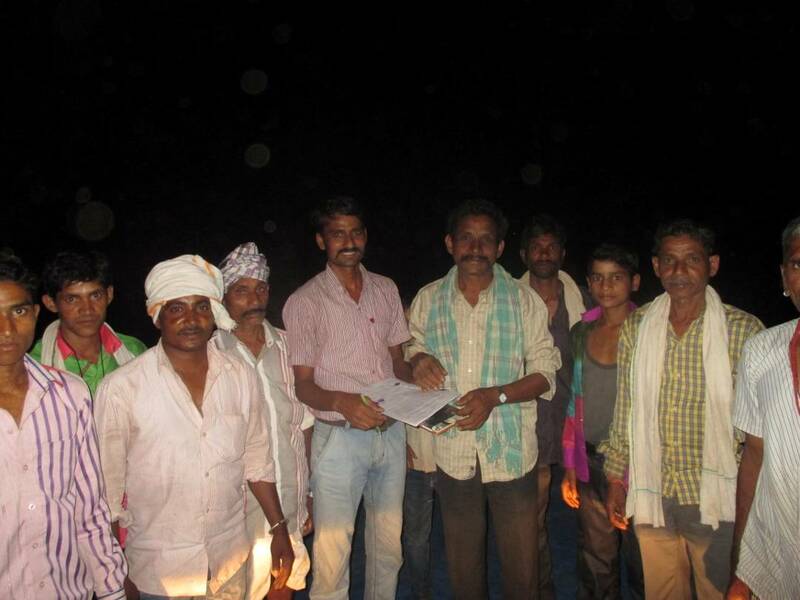 The villagers are delighted to get the benefits in near future and will be able to get tap water in their own village.